Join us at the 19th Learning Disability Today London – a one-day CPD certified event. We offer complimentary tickets for people with learning disabilities and their unpaid carers. Please email info@pavpub.com if you feel you are eligible. Information on how to cancel your booking can be found here. Early Bird Delegate rate is £35 + VAT. Please email info@pavpub.com if you would like to be invoiced. Early Bird Student tickets are £10 + VAT. You will need to bring your student ID. 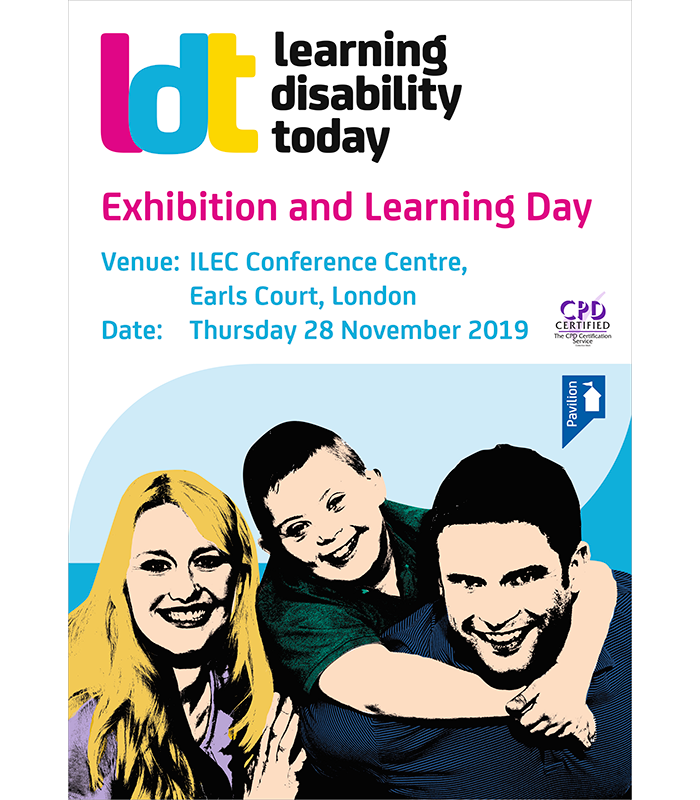 Come and join us on 28 November at Learning Disability Today London 2019. The learning day and exhibition will be packed full of exhibitors, like-minded visitors and a full seminar programme. This convivial and inspiring event will consist of 3 topic streams. Speakers and workshops will be tailored to the content in each of the rooms. Check back here for updates on seminars and speaker confirmation. To discuss exhibiting, sponsorship or other promotional opportunities, please contact Graham Hoare by email graham.hoare@pavpub.com or call 01273 434938.